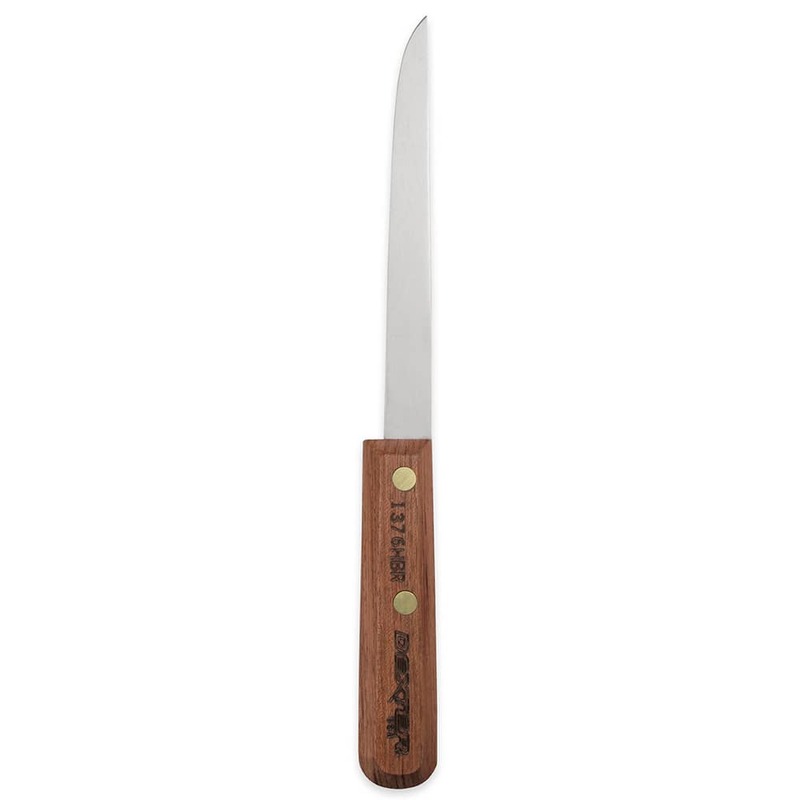 The Dexter 1376HBR 02060 Traditional™ flexible boning knife is built with a rosewood handle to create a pleasing aesthetic. There is a half tang that is secured with brass compression rivets. The DEXSTEEL™ blade is made of high-carbon steel for long lasting sharpness and increased hardenability. 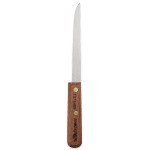 Since the blade is flexible, the Dexter 1376HBR 02060 Traditional boning knife fillets and skins thin meats without piercing it. "Good steel stays sharp all day using for mechanical insulatio!" "Great traditional knives. Got this to replace one lost from a set we received over 40 years ago as a wedding gift. They have been in constant use..."
"Great traditional knives. Got this to replace one lost from a set we received over 40 years ago as a wedding gift. They have been in constant use since."